With the development of technology, many users are considering upgrading to 10 Gigabit Ethernet switch. Of course, when it comes to the edges of the fiber switch, the obvious advantage of the Gigabit switch is the speed. 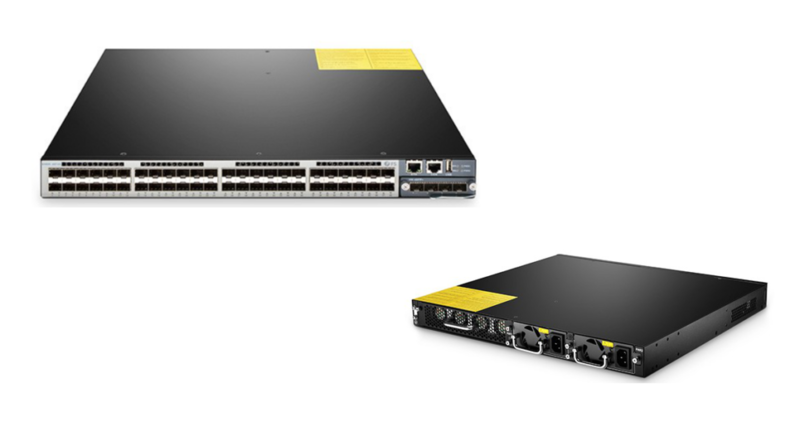 The Gigabit Ethernet and 10GbE switch can also bring other advantages, such as reducing cabling and bottlenecks. In addition, another important advantage is iSCSI support. This involves our theme today: 10G iSCSI switch for SAN, which is highly scalable because its capacity can be added as required. What is the SAN (Storage Area Network)? The SAN is a dedicated high-speed network or subnet that connects shared pools of multiple storage devices to multiple servers. The SAN is usually assembled through three main components: cabling, host bus adapters (HBAs), and switches connected to storage arrays and servers. Now, let’s focus on the SAN switch. What need SAN switches to do is to move storage traffic. SAN switches are usually FC switches, which are compatible with many FC protocols based on SAN. At the same time, SAN switches can also be based on Ethernet. Such switches should only process traffic on IP SAN to maintain predictable performance. Ethernet switches provide traffic for IP addresses. They treat iSCSI storage targets as IP addresses. These Ethernet switches are what we call iSCSI switches. Those people who focus on 10G devices have a common misconception that only an expensive and difficult-to-maintain fiber connect network is needed to effectively connect distributed storage SAN. While the FC has its advantages, the iSCSI switch can run economically on your existing Ethernet hardware (although the dedicated hardware is better) and works well on a 10G network. When we need to build our SANs or iSCSI network, we usually heard of DELL iSCSI switch, HP iSCSI switch and so on. However, what is the iSCSI switch? The iSCSI switch is a device that processes and channels data between the iSCSI initiator and the target on a storage device. ISCSI traffic is usually high speed and high capacity, and it needs to be provided with minimal delay. Unlike dedicated FC SAN switches, iSCSI switches are standard Ethernet network switches and can be used for iSCSI traffic optimization. ISCSI switches provide reliability while enhancing network control and supporting quality of service. Flow control: building the SAN by using 10G iSCSI switches can help the host avoid being overwhelmed by the high traffic associated with iSCSI storage through allowing the host to control the rate at which data is received, and use flow control. Traffic control can also help prevent packet loss and avoid increased delays in iSCSI storage networks. Jumbo frame: the high payload of jumbo frames can be processed by providing fewer frames to the switch, thereby improving the efficiency of data transmission. This can improve 10G iSCSI performance, but using jumbo frames may cost more. Basically, the better the iSCSI switch is, the better your SAN will be. Link aggregation: also known as port trunking, this feature combines switch ports into higher bandwidth trunks to increase throughput and create redundancy. This is significant for you to build your SAN. The world’s needs for data is growing, and nothing seems to be able to solve this problem. The video is becoming more and more high-definition, VR application is more and more used, and even the daily web pages are upgraded. If your business is already feeling the pressure of a data bottleneck, upgrading to a 10G iSCSI switch will put you back on the fast lane. This entry was posted in Network Switch and tagged 10gbe switch, fiber switch, gigabit ethernet switch, iSCSI switch on September 7, 2018 by Admin.